Interactive workbook designed for young people grades 5 through 8 for use with guidance from a helping teacher or parent. 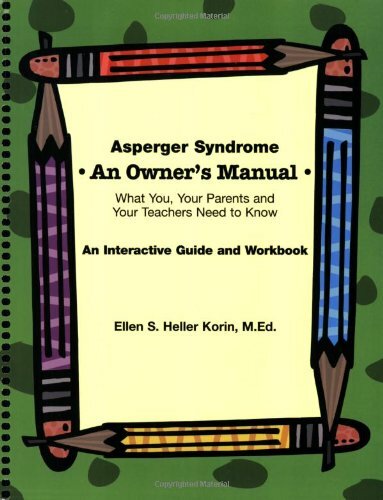 Written for adolescents, this book describes what Asperger Syndrome is and how it can affect daily life. With the help of an adult, the child completes a series of exercises related to learning style, sensory issues, emotions, relationships, and more, culminating in a written plan for each major area of his life.